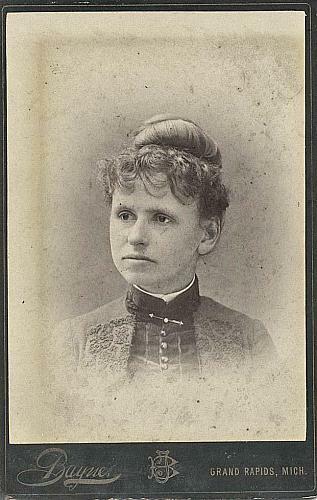 Clara Comstock, born April 5, 1866, to Charles C. Comstock and his second wife Cornelia Guild Davis, married, when she was eighteen years old, Huntley Russell of Waterbury, Connecticut; the couple had two sons, Charles Comstock and Francis T. Russell. The career of Clara Comstock Russell, otherwise Mrs. Huntley Russell of Comstock Park, is closely interwoven with the cultural history of Grand Rapids. Following her marriage she became a leader in Grand Rapids women‘s activities and pioneered for their advancement. Her endeavors led her far into state and national political life. She was active in the group of women largely responsible for the eventual passing of the amendment to the state constitution permitting women to vote in Michigan. She spent time, effort, and unchronicled personal funds in the suffrage movement. That big oaks from little acorns grow is demonstrated by the fact that during Mrs. Russell’s presidency of the local Ladies’ Literary club in 1906-1908, she became intrigued by a small newspaper account that the Michigan Equal Suffrage association was petitioning the Michigan constitutional convention to eliminate the word “male” from the section about elections when it presented a new constitution to the voters. As president of so representative a group as the Ladies Literary Club, it occurred to Clara that she might be able to help for such a worthy cause. She had 73 petitions printed, distributing them among all local organizations and groups. This brought her into contact with the State Equal Suffrage association; from then on Mrs. Russell’s time was hardly her own. These petitions were presented to the constitutional convention, but with no avail, so work began on the legislature. 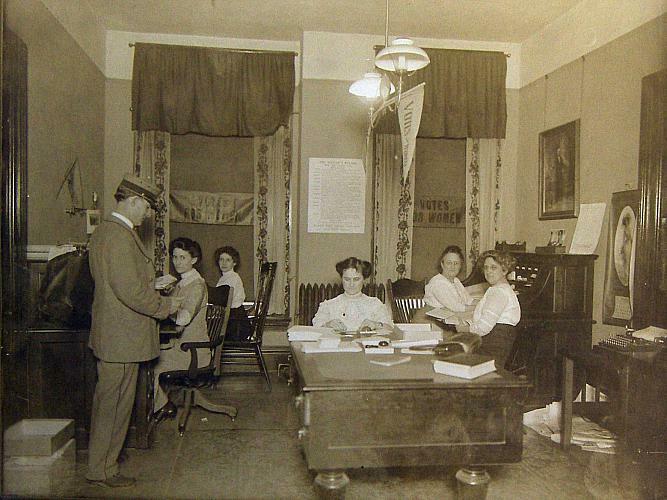 “It was lucky for us there was no law prohibiting lobbying then,” Mrs. Russell said, “for the suffragists would have been in a bad way.” Also, Mrs. Russell acted as secretary during the two-day session of the Mississippi Valley Suffrage convention held in Chicago, about that time. She was made first vice-president of the State Equal Suffrage association, an office she held for five years. As chairman of this organization she visited and organized 53 counties in the state, traveling entirely at her own expense. 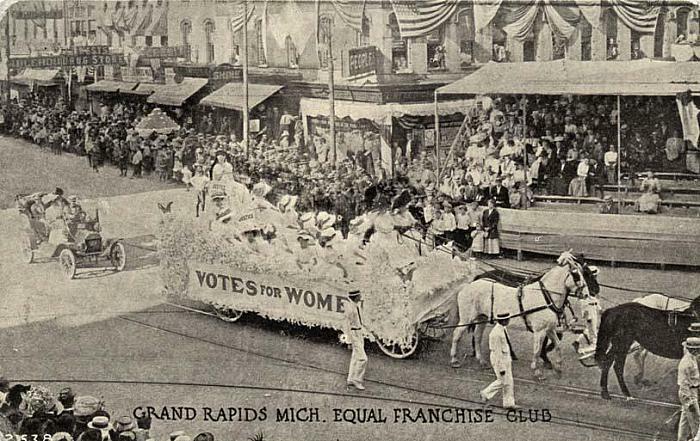 In 1910, Mrs. Russell, with the late Mrs. Fern Richardson Rowe, organized the Grand Rapids Equal Franchise club with a charter membership of 116. She served as president of this group for four years. During the World War Mrs. Russell, as Kent County chairman, Council of National defense, organized 23 units in Kent County for war work. As a member of the Kent County war board, she worked on a committee to provide entertainment for the soldiers at Camp Custer. At the same time a suffrage amendment again came before the voters. 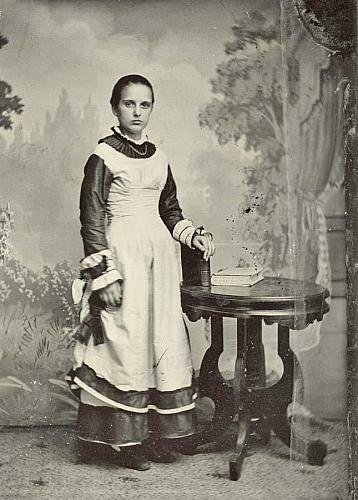 With Miss Grace Ames Van Hoesen she secured suffrage headquarters and raised money to defray the expenses of the local campaign. Will Hayes, chairman of the national Republican committee, issued an invitation to 100 representative American women, and Mrs. Russell, as a member of the state central committee, went to Washington for the cause of equal suffrage. In 1920, Mrs. William Blake and Mrs. Russell instituted a series of afternoon meetings in the Ladies Literary Club rooms, attempting to prove that politics were not the muddy pool proclaimed by some opponents of women’s suffrage. From this came the birth of the Women’s Lincoln Republican club. 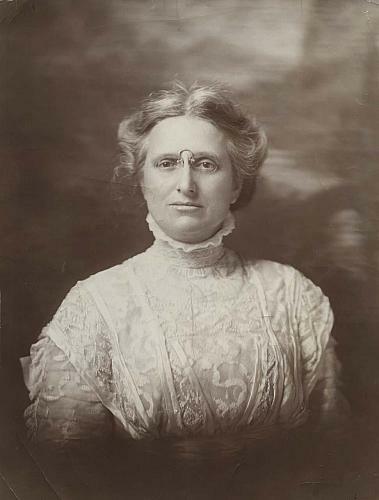 Mrs. Russell remained president for many years. 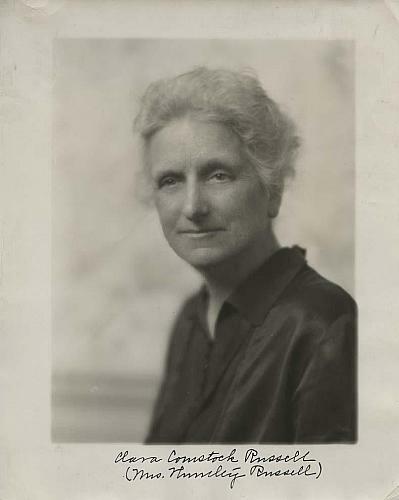 Mrs. Russell has been state chairman of the women’s branch of the engineer’s national committee; a presidential elector; president of the local St. Cecilia society; president of Kent Garden Club; one of the organizers of the State Anti-Tuberculosis association and a member of its board; member of the D.A.R. ; the American Legion auxiliary; and prominently identified with St. Mark’s Episcopal Church. She was first vice president of the local Salvation Army board, secretary of the women’s board of Butterworth hospital for 25 years, later its president, and then corresponding secretary of the board. Following the death of her father, Charles C. Comstock, Clara and her sister, Mrs. Lucius Boltwood, donated 40 acres of his property to the city to become part of Riverside Park. 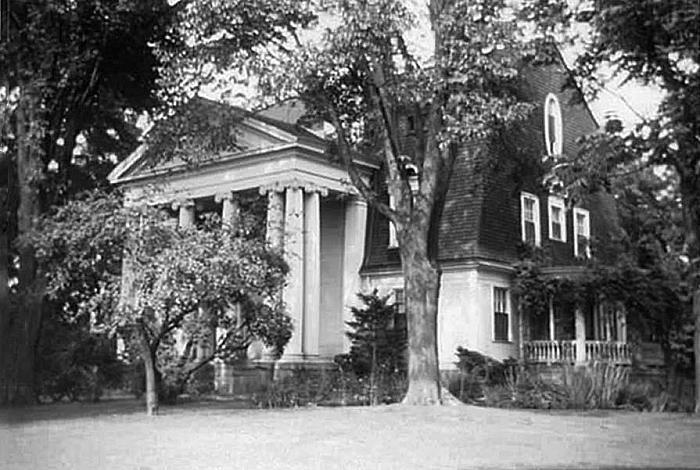 Clara Huntley Russell resided in a stately colonial home on Boltwood Drive, overlooking a beautiful spot on the Grand River, until her death on June 18, 1935. 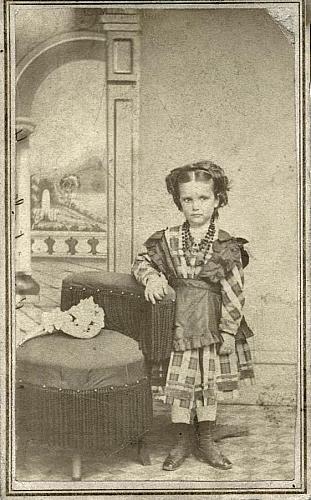 She is buried in Fulton Street Cemetery.